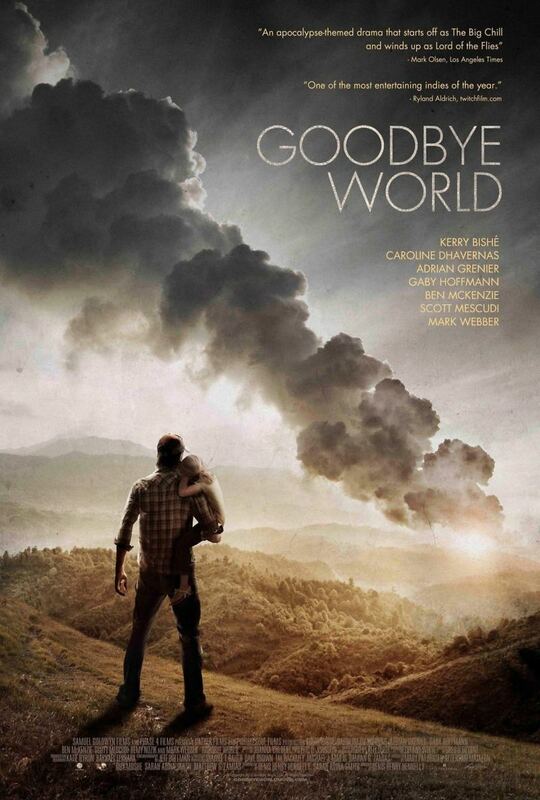 Goodbye World DVD and Blu-ray release date was set for June 3, 2014. James and Lily have been raising their young daughter while living off the grid in their own little sustainable haven. When a cyber attack of massive proportions makes its way across the country, wreaking havoc in its wake, the couple suddenly finds estranged loved ones and friends showing up at their door for safety. Their humble, sustainable abode becomes a fortress of dysfunction, as personal history begin to unravel and the threat of a powerful and sinister new world order looms.